December 17, 2014 By This post may contain affiliate links. 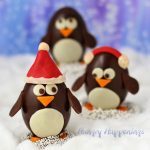 Today I’m going to share two different ways to decorate these Chocolate Penguin Truffles with White Chocolate Amaretto Raisin Ganache. One is easy, the other a bit more challenging. Both were made as part of a sponsored post for California Raisins. For those of you who follow Hungry Happenings on a regular basis, you are probably seeing a pattern. I tend to grab hold of an idea and run with it in a lot of different directions. This is my third egg shaped chocolate truffle turned into an animal. I couldn’t resist. Each time I’ve made one, I’ve tried something new. Today’s truffles started out with a tiny little dried fruit, the raisin. I paired California Golden Raisins with Amaretto, white chocolate and cinnamon to make a truly spectacular ganache filling for in my truffles. If you are a raisin fan, you will absolutely love the filling in these chocolates. 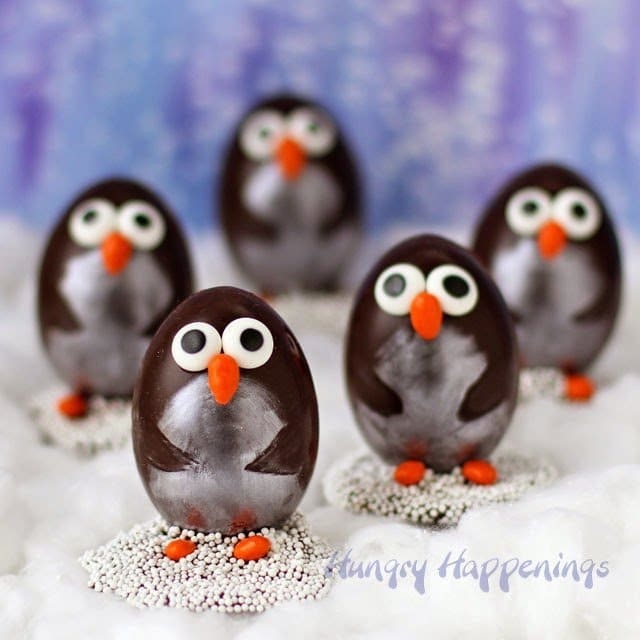 The flavor of raisin really shines in these truffles, as do the bellies on the penguins pictured above. As I was decorating my penguins, I couldn’t decide which design to do for the blog post. This one is really simple. Each penguin has a white luster dust belly, two candy eyes, and chocolate sunflower seed beak and feet. The come together quickly and easily. 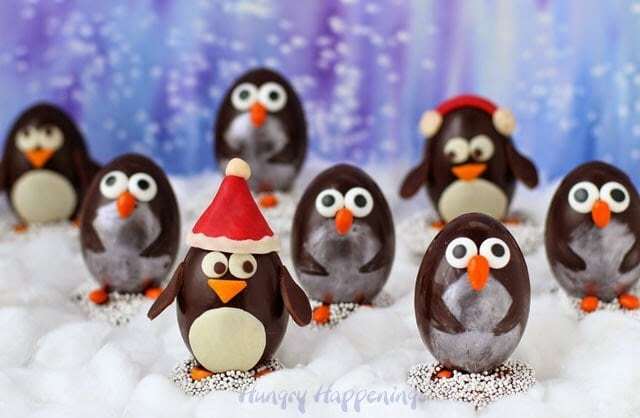 But, these penguins, decorated with modeling chocolate, are just so darn cute. I had to share, even if I’m one of the few people who would go to this much effort to dress up a chocolate truffle. I think they would be absolutely adorable as place settings on a Christmas table. Can you imagine having an entire colony of penguins on the table this Christmas? This recipe makes 40 truffles, so you could certainly have a large showing. Now this recipe is very adult, as it’s made with Amaretto. To make a kid friendly version, you could use orange or apple juice instead. 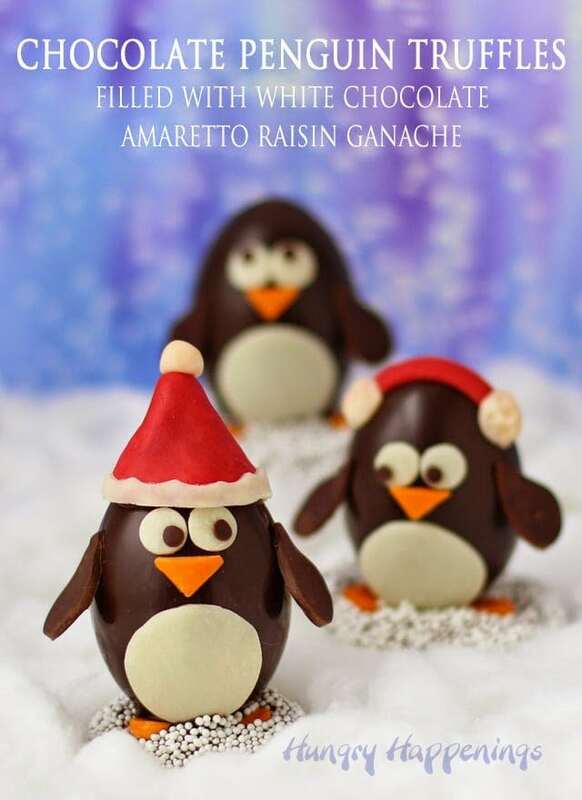 Chocolate truffles filled with white chocolate amaretto raisin ganache are decorated with modeling chocolate to look like cute little penguins for Christmas. *For detailed information about working with pure chocolate or confectionery coating see my Chocolate Making Tips page. Combine the raisins, Amaretto, and cinnamon in a small saucepan. Set over medium heat. Bring to a boil. Reduce heat to medium low and simmer, stirring occasionally, until most of the liquid evaporates and the raisins become coated in a thick glaze. Pour white chocolate into bowl of food processor and pulse until you have small pieces. Add the hot raisins to the chocolate and pulse until it is well blended. It will be very thick and chunky at this point. Heat heavy whipping cream in a saucepan over medium heat, just until bubbles begin to form around the edge of the pan. Pour the hot cream over the white chocolate. Place the lid on the food processor and let it sit for 2 minutes. Pulse until creamy and smooth. Add the remaining 1 1/2 teaspoons Amaretto and pulse to combine. 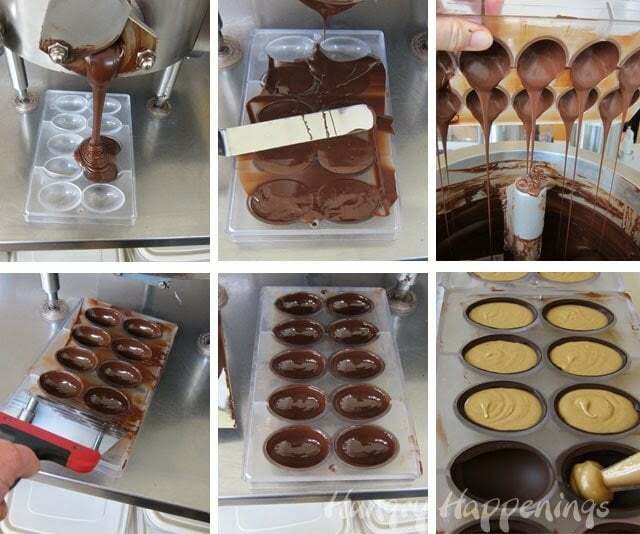 Create chocolate shells in egg molds. Allow chocolate to set at room temperature for 10 minutes then refrigerate for 10 minutes. Cover ganache with thin layer of chocolate. Refrigerate for 10 minutes until set. Brush on an oval of white luster dust. Attach two candy eyes, 1 orange candy coated sunflower seed beak and 2 feet using chocolate. Spoon a heaping teaspoonful of chocolate onto a piece of parchment paper. Sprinkle white non-pareils around the edge. Set one penguin truffle in the center of the chocolate. 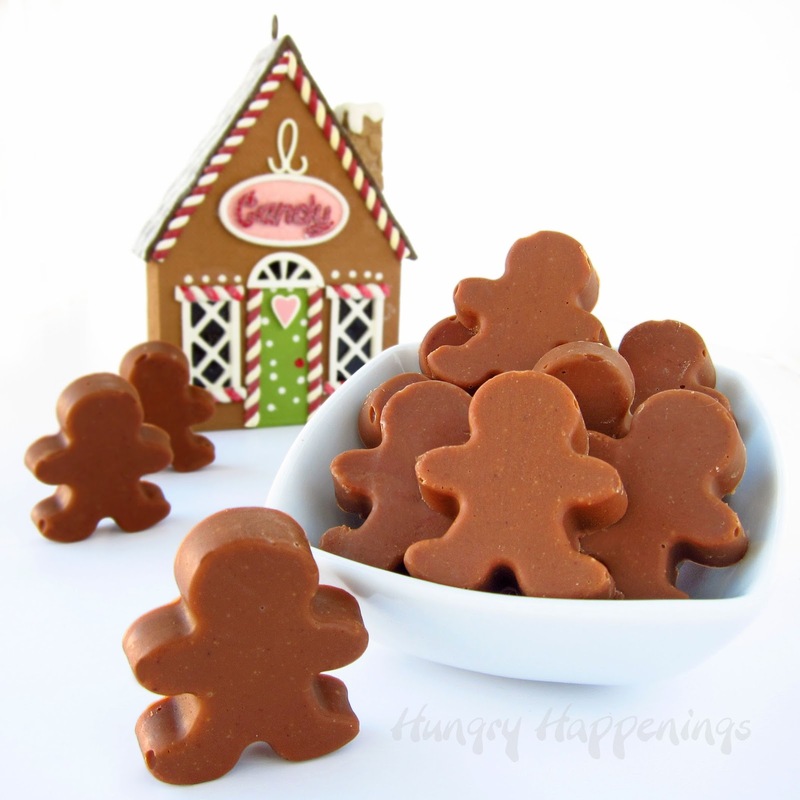 Sprinkle on more non-pareils to cover entire surface of chocolate. Hold penguin in place until it can stand upright on it's own. Alternatively, decorate penguins using modeling chocolate. Combine the California Golden Raisins, Amaretto, and cinnamon in a small saucepan. Set over medium heat and bring to a boil. Reduce heat to medium low and simmer, stirring occasionally, until most of the liquid evaporates and the raisins become coated in a thick glaze. 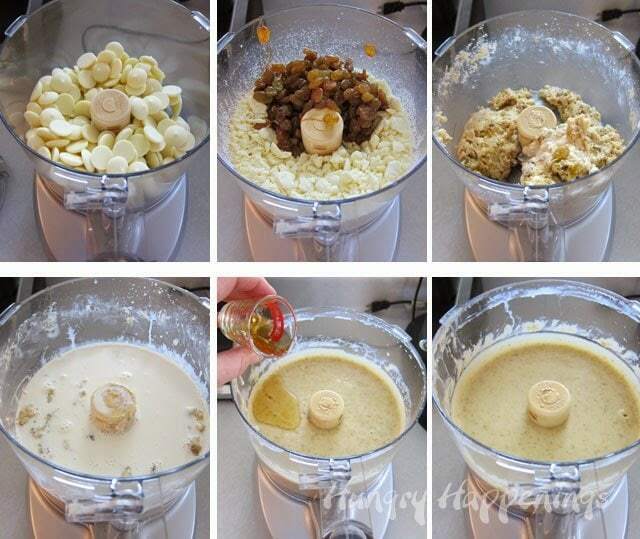 Put white chocolate in the bowl of a food processor and pulse a few times. Then add the hot raisins and pulse until it is well blended. It will be very thick and chunky at this point. Heat the heavy whipping cream in a saucepan over medium heat, just until bubbles begin to form around the edge of the pan. Pour the hot cream over the white chocolate. Place the lid on the food processor and let it sit for 2 minutes. Pulse until creamy and smooth. Add the remaining 1 1/2 teaspoons Amaretto and pulse to combine. So, the next step is to make the chocolate egg shells and fill them with the amaretto raisin ganache. 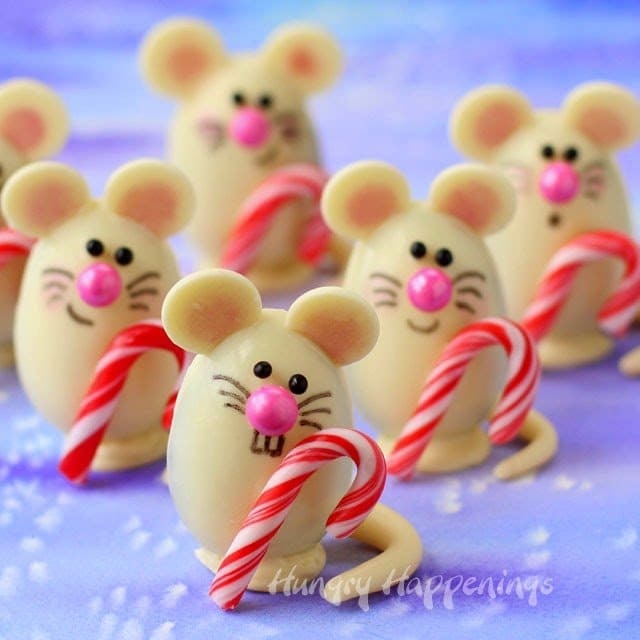 Being I’ve done similar tutorials for my Turkey Truffles and my Christmas Mice Truffles, I didn’t want to recreate it again here. I did however, take some pictures of how I actually make my chocolate shells. In the other tutorials I show how to use hobby grade egg molds, paint them with the chocolate, fill them, then close them with more chocolate. Here, you can see that I use a polycarbonate candy mold, fill it with chocolate from my tempering machine, turn it over allowing the excess chocolate to fall back into my machine, scrape off the excess chocolate using a bench scraper, allow the candy to set then fill the shells with ganache. These eggs, pictured above, are actually being filled with peanut butter fudge. The day I made these Amaretto Raisin Truffles, I took pictures of the shells being created then got distracted and forgot to snap pictures of the eggs being filled with ganache or closed with chocolate. Oops! The next step is to allow the ganache filling to set then to cover it with a layer of chocolate. 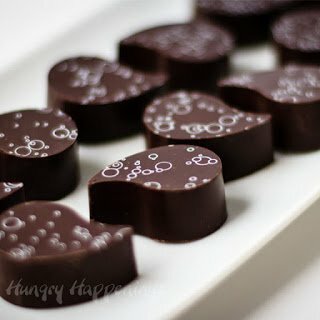 For this raisin ganache, I suggest filling the chocolate shells, then letting it sit at room temperature for about 4 hours before covering them with chocolate.I created a video showing how to create chocolates using polycarbonate molds, if you’d like to watch it. 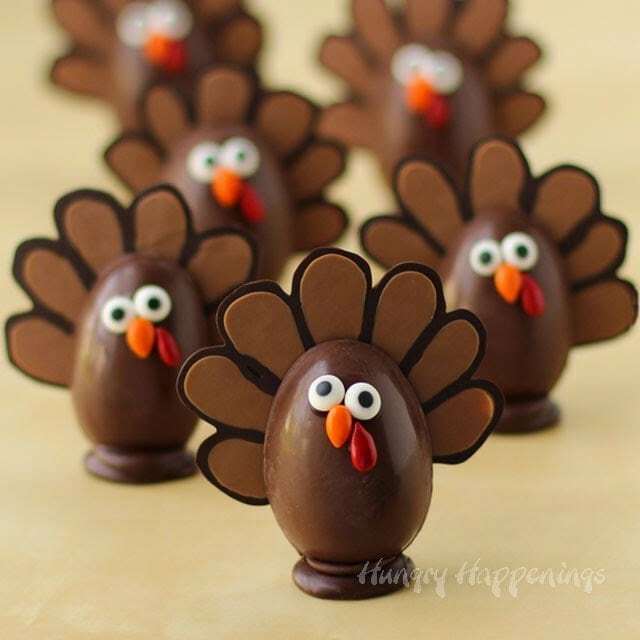 If you haven’t made any egg shaped truffles yet and would like to see the step-by-step instructions on how to create the chocolate shells using hobby grade molds (the type you can buy at the craft store,) check out either the Turkey Truffle or the Christmas Mice Truffle tutorials. 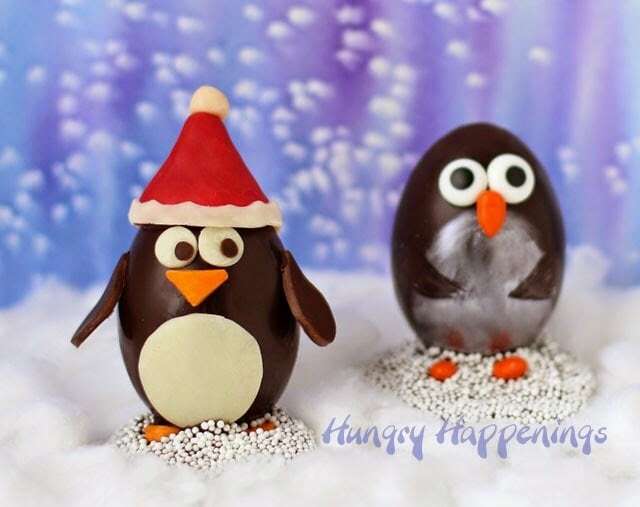 To decorate the penguins the simple way, brush some white luster dust over the chocolate egg creating the belly. Use a cotton swab or your finger, to brush away some of the luster dust, creating two wings. 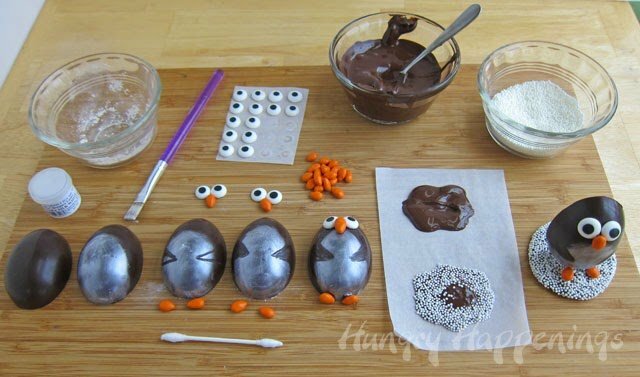 Attach two candy eyes, 1 orange sunflower seed beak and 2 orange sunflower seed feet using chocolate. To get your penguins to stand up, you’ll need a base. Pour a spoonful of chocolate onto a piece of parchment paper. Sprinkle white non-pareils around the edge of the chocolate puddle. Allow the chocolate to set up a bit then set a penguin in the middle, holding it in place until the chocolate sets and the penguin stays upright. 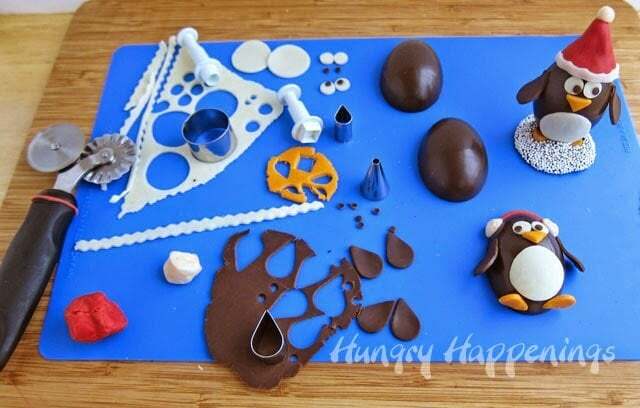 To decorate your penguins using modeling chocolate, you’ll need white, orange, and dark chocolate plus red to make the hats or ear muffs. Roll out some white, and cut out one 1 inch round circle for the belly, two small circles for the eyes. I used a medium round plunger cutter to cut the eyes. Roll out some orange and cut a beak and two tear drop shaped feet. To make my beaks, I used a square plunger cutter, then cut the squares in half. Attach all the modeling chocolate pieces by brushing the backside lightly with water and pressing them onto the chocolate truffle. Shape a Santa hat or ear muffs using red and white modeling chocolate. My hat was made by sculpting a red cone, attaching a small white ball to the tip and wrapping a thin white band around the bottom. To attach my hat, I made an indentation in the bottom of the hat so it would fit snuggly over the top of the egg. I used chocolate to glue the hat to the chocolate egg. The ear muffs are simply a strip of red shaped over the top of the egg with two round white balls attached to either end. I pushed the end of a paint brush into the balls to make them look fluffy. Either way you decorate them, they look pretty sweet. You could also pipe on chocolate decorations for a third option. Store your truffles in an airtight container at room temperature for up to 10 days. I was compensated by California Raisins to create and share this recipe with you. All opinions expressed here are my own. Your little penguins have such personality, the kind I would love to meet! And the recipe is so unique with the added raisins. I'd love to meet these cuties too! They look like pretty nice penguins, don't you think? LOL! I've been really cranking out the treats this year. I'm glad you like them all! Thanks, Brenda. I thought they were pretty cute too. I'm glad you agree! These are so creative! You are so talented! Thanks for sharing them with us at Foodie Fridays! Sharing! I am loving every single one of your egg shaped treats..each one cuter than the last! 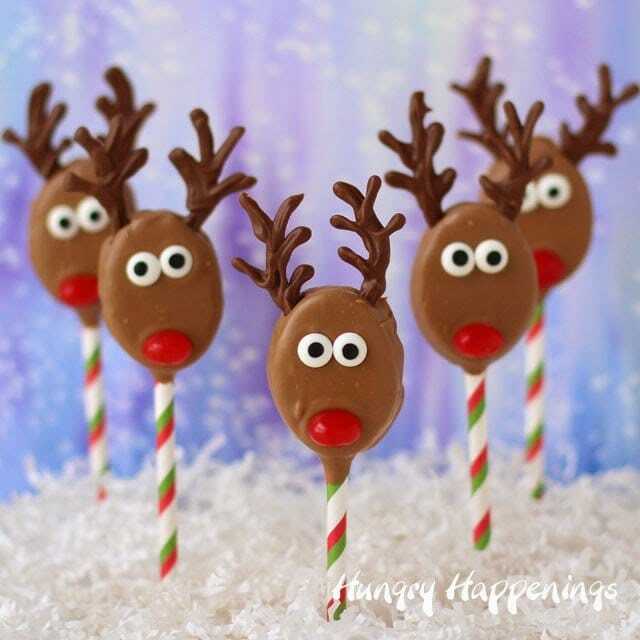 You are the edible Christmas crafts Queen! I'm a raisin lover and I know these have to taste awesome. Cute, cute, cute! I love raisins too and this ganache is really amazing. I will definitely be making it again.